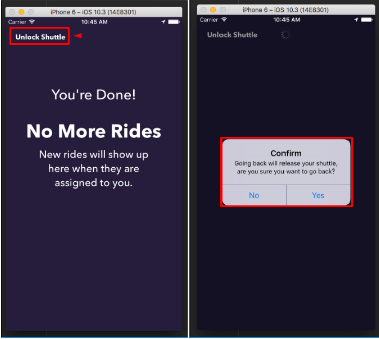 To ensure that drivers are assigned, the Driver app is color coded for easy identification. 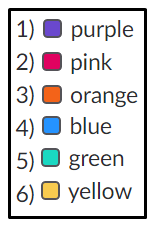 The shuttle colors are assigned in the following order. 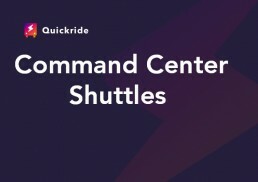 To select/assign the shuttle, Driver selects a shuttle. If the shuttle is available, he will be prompted to type his name to lock the shuttle under his name. If the shuttle is not available, he will be reminded that the shuttle is already locked-in to someone else and may be in use. 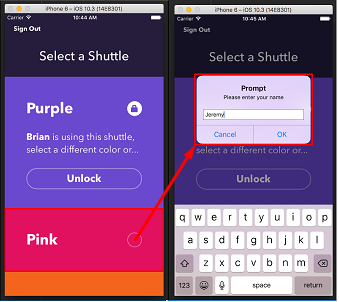 Once the shuttle is assigned, in the App it will reflect the Driver’s name and shuttle color. 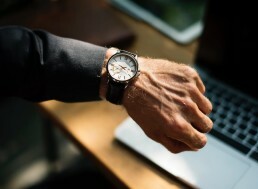 After selecting the shuttle and assigning to the Driver, the Driver can then start accepting trips from the customer. 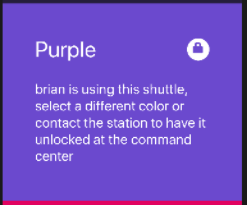 Once the Driver has completed all the trips, he can select Unlock Shuttle to release the Shuttle. He will be prompted for this selection.